Cassandra mines operate since 6th BC century and 33 million tons of gold were extracted. In 2011, following a long story of ambiguous government decisions and scandalous agreements, European Goldfields Ltd sold its share (95%) of Hellas Gold S.A., that owned Cassandra Mines, to the Canadian Eldorado Gold Corporation. The Environmental Impact Assessment (EIA) for mining activities in Cassandra was submitted in 2010 to the Ministry of Environment, following an ostensible public consultation process. The Minister, Ms Mpirmpili denied endorsing it. The EIA was approved by Mr Papakonstantinou (former Minister of Finance) who came after Ms Mpirmpili, 11 months later. The EIA has many deficiencies in the documentation, incomplete scientific data, misinterpretation of statutory limits of pollutants, etc. A part of the mining area belongs to a NATURA 2000 site. In 2009 and 2011 two actions were filed before the Council of State against the mining company by the residents, while the company itself filed one action against the Municipality of Aristotle, because of a decision of the Urban Planning Directory that demanded the stopping of the activities in Skouries site. The actions were discussed in 2012, and the Council gave permission to the company for the continuation of the activities. [2, 3] The open-pit gold copper ore mine will result to the destruction of a primitive forest, the drainage of the aquifers and to the pollution of atmosphere and land. The method of “flash smelting” that will be used has never been used in industrial scale production in the past and there are fears that the company will finally implement the method of cyanation. Several civil society objections were raised since 2007. 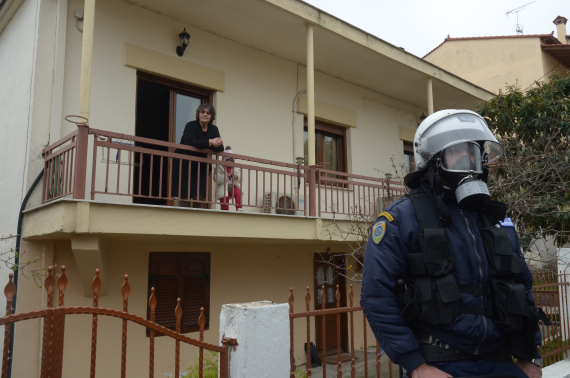 Since early 2011, residents of the Municipality of Aristotle initiated a major campaign against the investment. The campaign consists of petitions, awareness raising, use of social media, demonstrations in the mining area, the villages and big cities, concerts, etc. Universities and institutes commented on the EIA and revealed the gaps and the negative impacts of the planned activities. 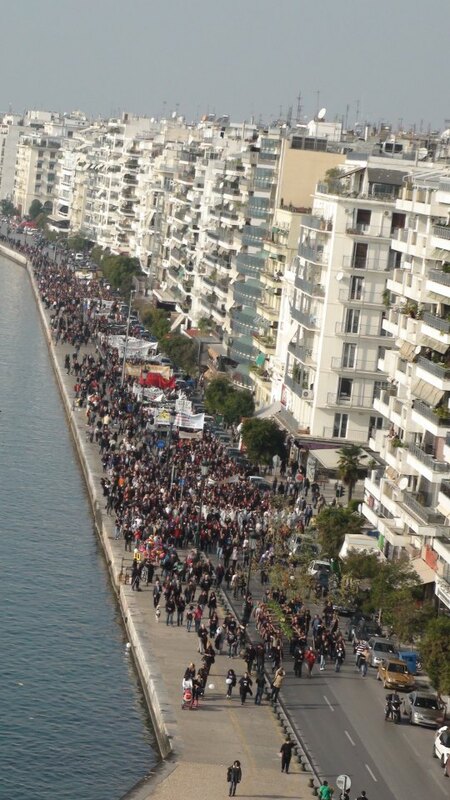 A mass movement is now active in the area, being supported by several groups and institutions from Greece and abroad. From the beginning, the Greek government neglected the opinion of the residents and supported the company. 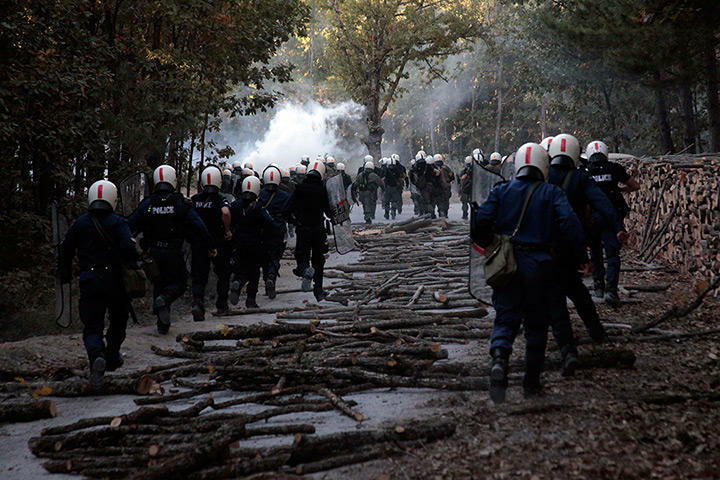 There was no consultation process on the EIA and the social movement in Skouries faces major repression . 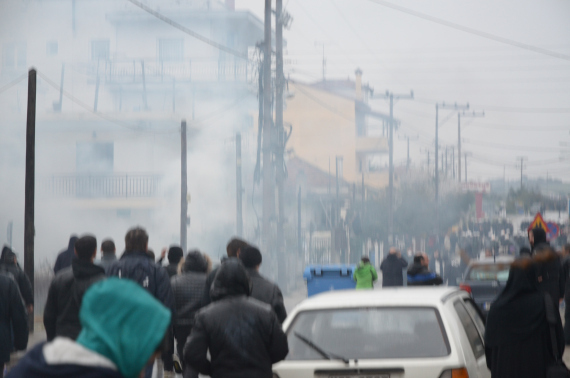 In February 2013, unknown men attacked the worksite in Skouries, causing damages to company’s vehicles and equipment. 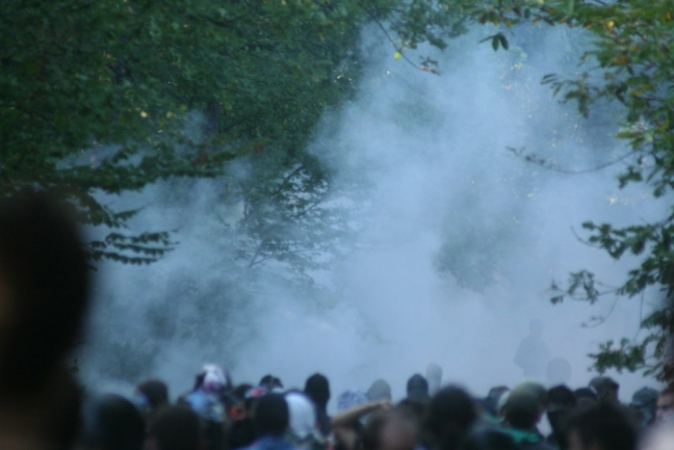 This gave the pretext to the police to hit peaceful demonstrations with excessive use of teargases; criminalize the participation in the movement, arrest several residents on charges of participation in terrorist organization, proceed to DNA tests, invade in houses etc. Environmental justice organisations and other supporters Solidarity Statements: Municipalities, Trade Unions, environmental grassroots from all over Greece; Mining Injustice Solidarity Network; Amnesty international; Socialist Alternative (SAV) (Stuttgart, Germany); Working Group “Stuttgart 21 is everywhere” (Germany); Plataforma Salvemos Cabana (Galicia, Spain); Plataforma pola defensa de Corcoesto e Bergantiños (Spain); People's Health Movement (Canada); Party of the European Left (EU); European Gold Forum; Mining Watch Canada; Committee for a Workers International; Italian Forum of Water Movements. People's solidarity statements: Naomi Klein (journalist, syndicated columnist and author), Noam Chomsky (Prof. MIT, USA), Niki Ashton (Greek-Canadian Parliamentarian), Peter Bohmer (Prof. in the Evergreen State College, USA). Development of Alternatives Local communities present a different development plan and fully disagree with the planned investment. The development option for the wider area that they proposed is based on traditional occupations such as agriculture and promotion of organic farming, forestry products, beekeeping, livestock, processing and trade of local products, fishing and tourism (included alternative forms of tourism, such as agro- and eco-tourism). Why? Explain briefly. The case cannot be considered as an environmental justice success, as the company still operates, constructing the facilities and devastating the environment. The impacts to the biodiversity, the water and the landscape are irreversible. There are two actions for the cancelation of the investment pending in the Council of State, but the long delay on giving the ruling cannot be considered as a positive fact. Furthermore, the current government provides full support to the company. From the point of view of the movement, the case is considered successful, because of the mass mobilization of the local societies, as well as the support movement all over Greece and abroad. In addition to this and because of the state repression, strong solidarity bonds were developed among the residents of the region. 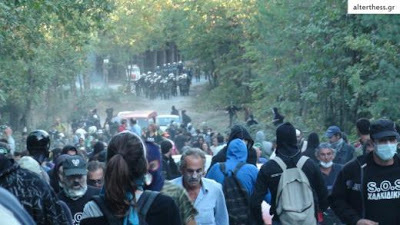 The ecologist, 2013, Gold rush: Greek jobs, forest and future under threat as austerity bites. The latest investigation by the UK Ecologist magazine probes the impact Greece's economic crisis is having on the nation's environment, examining a controversial mining project. Coordinator Group of Stageira and Akanthos, 2013, Welcome to the Greek Eldorado. Overview of the investment and the mobilizations. Nelly Psarrou, 2014, Water drops (Stagones), A documentary on water in Greece, pointing out the impacts of the investment on water in the wider region. A small documentary on the Northeast Chalkidiki residents' struggle against gold mines and the harsh police repression used by the Greek state in order to protect private company's interests.